Travel to and from SEA LIFE Sunshine Coast with return daily trips from Noosa. Explore the depths of the ocean without getting your feet wet – and if you happen to jump in the water then don’t worry, we’ll still get you home safely. 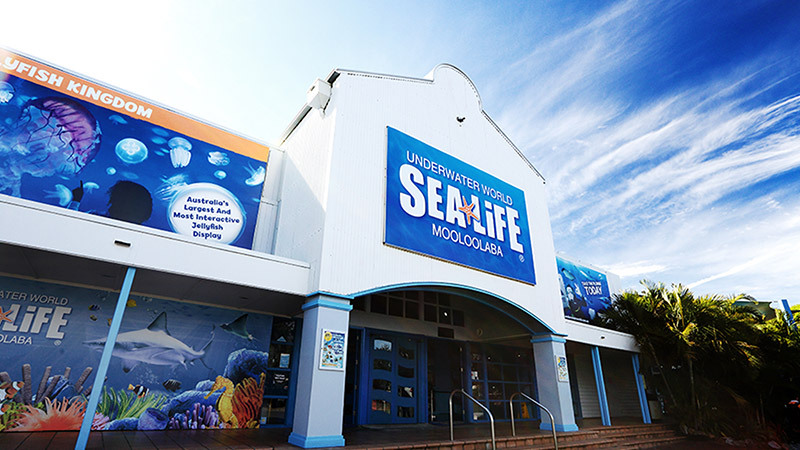 SEA LIFE Sunshine Coast is located at The Wharf Precinct in Mooloolaba. Your ticket included in this package entitles you to one day entry only. Be mesmerized by the spectacular under water creatures throughout the aquarium. Explore the various different zones, learn about the animals at the many educational talks, experience the soft, slimy or prickly creatures in the Tidal Touch pool and watch the famous Seal show. For a more up-close and personal experience you can chose to have a Seal Encounter, Seal swim or even swim with the sharks!